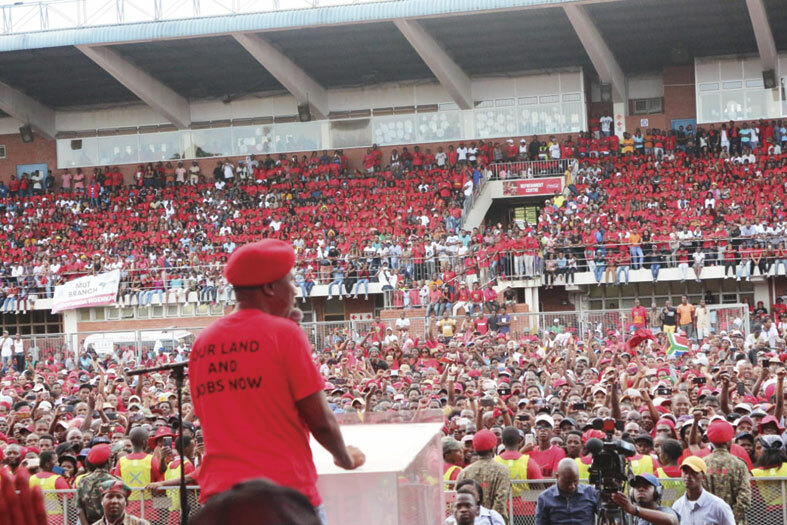 Thousands of Economic Freedom Fighter supporters descended on the Chatsworth Stadium on Sunday to listen to its leader, Julius Malema as the party delivered their manifesto. 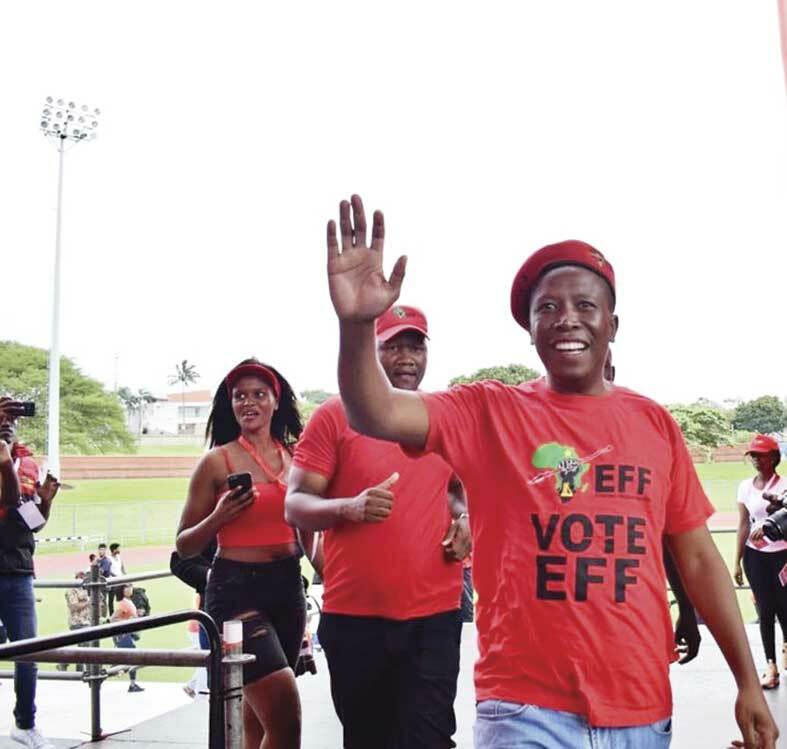 The Commander in Chief arrived four hours late as he had earlier in the day addressed supporters at the Maphiniki Sports Complex in the Northern Cape. Once again, the Indian community came under fire from Malema as he picked on them for their attitudes towards African people. He said that Indians needed to improve their attitudes towards African people, particularly those that work for them. This was almost the same sentiments echoed at the party’s 2017 fourth anniversary celebrations at Currie’s Fountain. Malema came under fire for his comments. party for “thinking that they can solve burning issues around the country by distributing T-shirts with the images of struggle icons printed on them”.